Even with her parent’s best efforts, it didn’t protect Joyce from the predators that exist in society. A neighbor molested her as she was going up the elevator to her home when she was just five-years-old. “My dad was waiting for me on the 12th-floor but the elevator stopped on another floor first and my dad didn’t know it. That’s when I was molested. I never told anybody and that’s when I started a life of hiding,” says Joyce. When Joyce was introduced to heroine, her decades-long downward spiral began. It started with missing so many classes in school that she knew she wouldn’t graduate. Again, wanting to hide that from her parents, she ran away from home and fell into an abusive relationship. Joyce said, “I was abused every day for 3-years, my dreams were shattered, I became a prostitute, was raped, kidnapped, had one daughter that was born with a coke habit and my other daughter was born with a methadone habit. My wonderful parents and family always gave me unconditional love and took care of my two daughters. Joyce became convinced that drugs were her life and there was no way out when she experienced what she calls her “Most hopeless Sunday.” She says, “A voice told me to go to church. I heard voices back then and talked to them. I told the voice I was going to buy from a drug dealer. I don’t know how, but I wound up in church. They asked if anybody wanted to change their life and I gave my life to Christ that day. “On my 43rd Birthday, my daughters asked me to get clean and on February 27th, 1994, I went into detox for 100-days. During that time, I drew 13-pictures of the deepest, darkest parts of my life.” Joyce had always been creative, even making clothes earlier on to support her drug habit, but these pictures are really when her art, and healing through the art began. While Joyce was in detox, she was asked if she had been tested for HIV, she hadn’t but agreed because of her previous lifestyle. She got the news that she had tested positive on January 13th, 1995. “By then I realized all the things that God had got me through and I knew that everything was going to be alright. That night I drew a picture of a woman praying.” She said. Inspired by her pastor, the Reverend Doctor Mark V. C. Taylor at the Church of the Open Door in Brooklyn, in 2009, Joyce became a reverend and began spreading the gospel. Also in 2009, Joyce began her HIV medication. She said, “I was monitored the whole time and it was strongly suggested I take them. I’m glad I started taking them. Today my T-cells are around 860 and my viral load is undetectable.” She’s also been sober for 20-years. Today, nearing 63-years-old, Joyce continues her ministry, having become a New York State Chaplin in 2012 and participates in art exhibits at schools, colleges and churches. Most importantly though, Joyce cares for her mother who is an 86-year-old cancer survivor and just enjoys life with her daughters, son and 10-grandchildren. 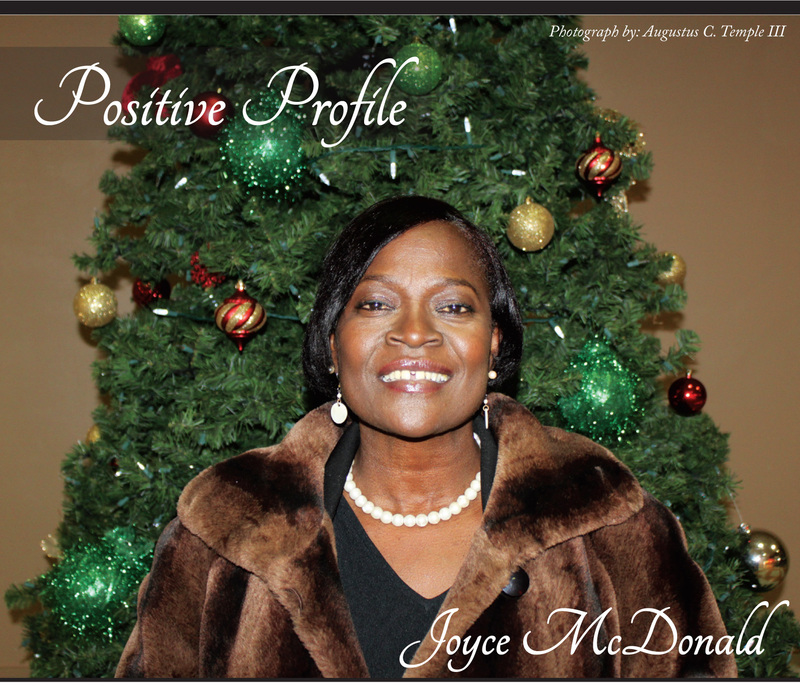 For more about Joyce and her story, you can see her on Facebook at: https://www.facebook.com/#!/pages/Joyce-McDonald-From-the-Shooting-Gallery-to-the-Art-Gallery/148166952524. Or at Visual AIDS at: www.visualaids.org/artists/detail/joyce-mcdonald#.UkzGRfaMuTg.facebook.com.